Jagmeet Singh says the federal government should be willing to end the expansion of the TransMountain pipeline if consultations do not end in “partnership” and “buy in” from all the communities along the route. Jagmeet Singh says the federal government should be willing to terminate the expansion of the Trans Mountain pipeline if consultations do not end in "partnership" and "buy-in" from all the communities along the route. "They can't say that they want to build something and say it's going to be built, and then on the other side say, 'We're going to meaningfully consult with communities.' That is not meaningful consultation if you've already decided the outcome," the NDP leader said in a wide-ranging interview to air on CBC's The National this Sunday night. Singh declared last spring that he was opposed to the Trans Mountain expansion project. Alberta Premier Rachel Notley, a New Democrat who has been lobbying hard for Trans Mountain, called Singh's position on the pipeline "naive." 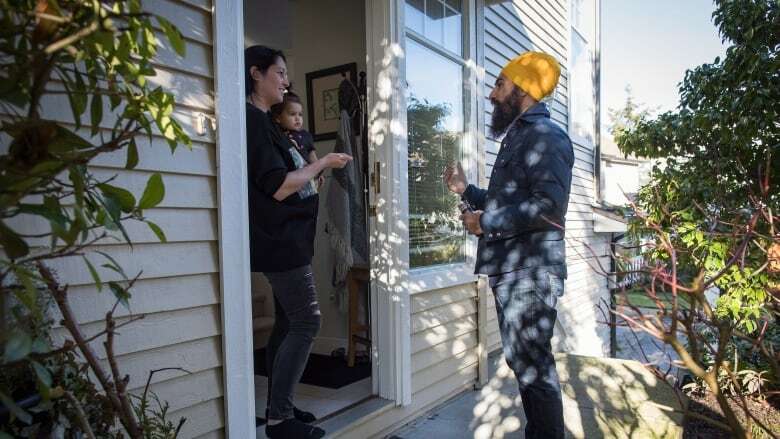 Singh, who doesn't currently hold a seat in the House of Commons, is now running in the federal byelection in Burnaby South, a community where many have deep concerns about the pipeline and its expansion. Voters go to the polls Feb. 25. Singh said Ottawa should be "open to no" after its second round of consultations with First Nations. Last August, the Federal Court of Appeal quashed licensing for the $7.4 billion expansion project, telling the Trudeau government it would have to do further "meaningful" consultation with First Nations and that concerns about increased tanker traffic had not been adequately addressed. The government accepted those findings and named former Supreme Court justice Frank Iacobucci to lead Phase 3 of its Indigenous consultations. No deadline has been set for those consultations to end. Singh said that if those consultations suggest that not all communities on the pipeline route are on board, the federal government must accept that. "I mean the communities that are impacted, the lands, the sovereign nations that are impacted, may not accept that this is a project that they want to support," he said. "And that is something that the government has to be prepared to accept." A Supreme Court decision from 2017 (involving the Ktunaxa Nation and the development of a ski hill) made it clear, however, that section 35 of the Constitution — which deals with Indigenous rights — does not give Indigenous communities the right to veto a project. "Where adequate consultation has occurred," that ruling said, "a development may proceed without consent." Singh acknowledged the legal limits but suggested that reconciliation with First Nations means the government ought to go further. "Well, we've got to be committed to doing more than just checking off a box," he said. "That's not enough. That's not actually going to be reconciliation. If you just go say, 'Well look, I've done this and I've done this I've checked off a box ... that's not meaningful reconciliation." The government made the decision to purchase Trans Mountain for $4.5 billion after project proponent Kinder Morgan deemed it too financially risky to pursue due to the drawn-out court challenges. Prime Minister Justin Trudeau has said he is committed to the project and believes it is the "national interest." Singh said the project should be driven by the private sector and no public money should be used for resource development. As for the tens of thousands of Canadians who rely on the oil sector for work — or who have been laid off from oilpatch jobs in recent years — Singh said it's not their "fault" the energy sector is unpredictable and the government should be investing in "sustainable" jobs for the future. On the issue of climate change, Singh said that if he were to be elected prime minister he would set much tougher national emissions targets — despite the fact that no developed country, Canada included, is on track to meet the emissions targets set in the Paris climate accord. Singh also said he supports a carbon tax but wants a "progressive" one that costs more for those who emit more while costing families less. He would not go into details on how that would work, saying the NDP's carbon tax plan will be released eventually. 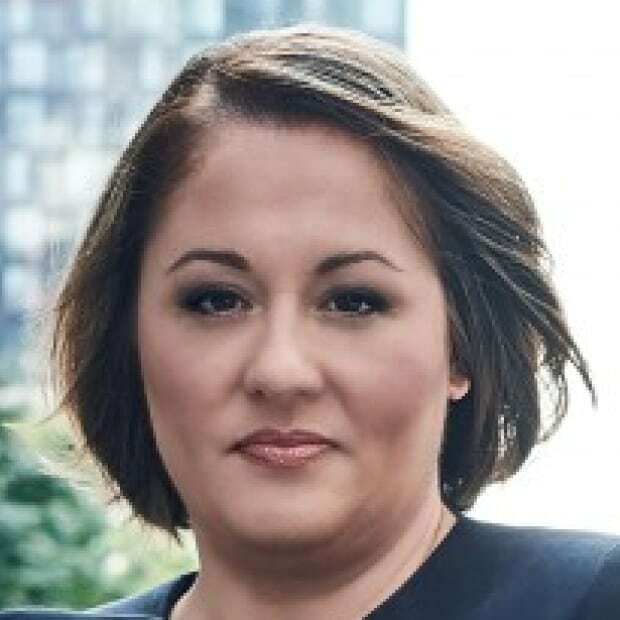 Rosemary Barton co-hosts The National. She has interviewed many high-profile politicians including Prime Minister Justin Trudeau, former prime minister Stephen Harper, U.S. Secretary of State John Kerry and International Monetary Fund managing director Christine Lagarde.